The following posts are related to the START phase of your journey. In today’s video, you are going to discover why you need to take advantage of the email business signature service called NewOldStamp. NewOldStamp email signature service allows you the subtle ability to promote your service. 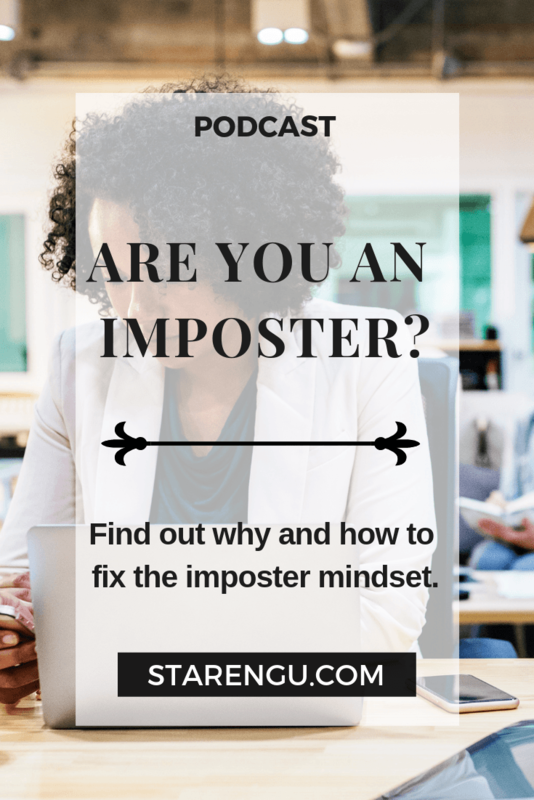 Are you an imposter? So many people go through life feeling like they don’t deserve the attention or compliments they receive when they achieve their goals. Discover why this is the case. Thanks so much for listening to today’s podcast. I’m confident that my side hustle of helping others to invest in themselves via my youtube channel, podcast, Facebook Group, and most importantly my online courses can be of assistance to you. My courses are geared towards teaching people how to create their own website, and promote their endeavor through digital marketing, and so much more. You never know who you may inspire. 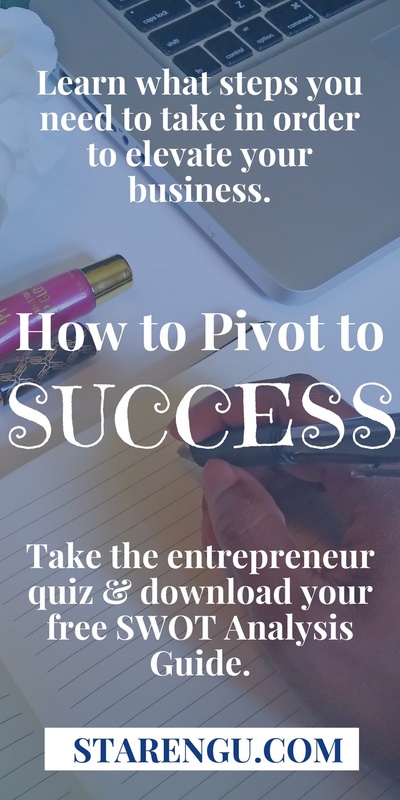 This is last post in the two-part How to Pivot to Success Series. 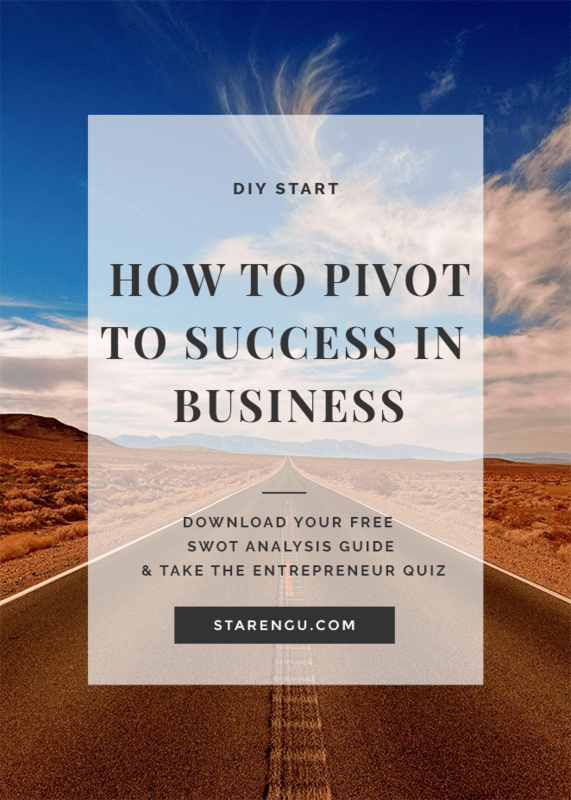 Be sure to read part one How to Pivot to Success in Business. This is a question that I’ve gotten on more than one occasion so I figured I would share my experience to hopefully motivate you. I come across a lot of articles about how people quit their job to start their business, but hardly any that encouraged people to start a business while they are working a 9 to 5. I’m not trying to throw any shade at the folks who quit their job, but that was definitely not an option for me. I’ve always been super cautious. To the point where sometimes I’m my own worst enemy. I knew that regardless of what magical number folks recommended that you should save up before quitting your job (typically 6 months is what I’ve seen), would NEVER be okay with me. I’m single. I don’t come from a wealthy family. I have no one that I can go to for support in case things don’t work out with my business. Needless to say, if I quit my job and my business failed, I would be in a serious financial hot mess. This was an unnecessary gamble that I was not willing to take. If I end up in a financial hot mess, I want it to be due to circumstances beyond my control (i.e. laid off), not one that could have been avoided (i.e. quitting my job). If my situation resonates with you, the first thing I want you to do is to read the previous post and to take this SWOT analysis. This is going to help you determine what type of business you should pursue. If you’re not sold on the idea of starting your own business, then get acclimated to the idea of freelancing on sites like Fiverr, Upwork, etc., selling your own products like T-shirts, etc. This way you can see if the services or products you were thinking about offering are worth your time and effort. If all of the aforementioned sounds like your jam, then let’s get started. One of the first things that you need to do is count the costs of going into business. I started an online business (It’s Time to Launch Your Blog) because the costs to do so are relatively low. I knew for a fact that the majority of the products and services that I would offer were going to be online.Therefore, the bulk of my time and expenses were going to be allocated to content marketing. One of the main things 9 to 5ers complain about is not having enough time to start a business. I hate to break it to you, but if you are truly serious about your endeavor, then your lunch time, evenings and weekends are going to be your best friend. I totally understand that you would rather be watching The Walking Dead or some other popular TV show, but that’s not going to further your future. Investing in yourself is going to require you to sacrifice your time, but the ROI will be worth it in the end. Are you willing to get your hands dirty? Obviously, not literally, but are you willing to roll up your sleeves so you can learn how to perform tasks that will help reduce your startup costs? I’m a DIY kind of girl. If it’s something that interests me and I know that I would benefit from that knowledge in the future, depending on the task, I designate at least an hour during the week building up my knowledge to learn that task. One of the main reasons my start up costs were extremely low is because marketing is my background. 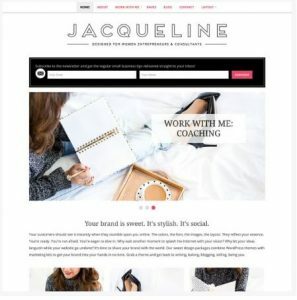 Many moons ago, I realized that I eventually wanted to start my own business so I taught myself how to create websites, design content, create videos, etc. Heck, I even learned Spanish! All of this was done while I was working a 9 to 5. I realize how tired you may be after work and if you have kids, take care of a sick parent, etc.finding time may be even harder to accomplish. Please do NOT beat yourself up! My journey is going to be different than yours. Do the best you can with the spare time that you have. Just remember, you have to be proactive when it comes to creating the time you need to invest in yourself. Please note that I’m also not advocating that your spare time should be completely filled with work. Again, having a balance is the key. I read a study that stated that Americans watch close to 5 hours of TV a day. No one needs that much of an escape from their life! The majority of that time could be used to help you create your future. Once you get to the point where you feel successful, then feel free to reward yourself by binge watching The Walking Dead. Now even though I’m #TeamDIY, you have to know your limitations. If there is a task that you need to perform, but learning how to do so would take too much time away from the real reasons you went into business, then by all means outsource. Outsourcing is even easier to do when you have a 9 to 5. You’re going to be able to easily identify areas where you can save money. Therefore, you can take the money you saved on tasks that you can perform to pay for the tasks that you want to outsource. Identifying which tasks you should outsource may be a bit more difficult. Again, my motto is not to go broke. Therefore, I learned a lot of tasks that typically fall outside of the marketing arena like building websites, video production, etc. Those tasks may have been outside my realm but they were also fun to me. It didn’t seem like a chore for me to learn how to create a website or create a YouTube tutorial. Now let’s say that I decided to go into business offering video production services, but I absolutely hate to write. My true strength and joy lies in video production. If I need copy for my website, it’s going to be worth the investment to hire a copywriter to create the content for my website. I’m all for embracing the DIY approach, but if it’s going to cause me unnecessary stress then I leave it to the professionals. I’m not a fan of repetitive tasks. If I find myself doing something more than 3 times a day, I’m looking for the quickest way to eliminate or reduce amount of times that particular task makes it onto my to do list. For example, if you offer consultations you already know what information needs to be captured. There’s no need to unnecessarily send emails back and forth to a potential client. Take the time to create a template and an autoresponder that allows the template to be automatically sent to your potential client. One of my favorite automation tools is Zapier. It is ridiculous how many tasks you can automate using this tool! A couple months ago, I made the decision to switch from MailChimp to Mailerlite. This was a pain. I manually swapped out MailChimp links on my site for the Mailerlite links (I technically didn’t have to do this, but again, I’m super cautious). Seeing that I’m human, in the event that I missed swapping out one of the MailChimp links on my website for the Mailerlite link all I had to do was create a zap. If someone landed on the MailChimp link I forgot to swap out for the Mailerlite one, the zap would be triggered and that person would be automatically added to my Mailerlite list. Pretty cool, huh? When you create shortcuts it allows you to spend more time focusing on tasks that will actually grow your business instead of working in your business. In case you couldn’t tell, I love to write. I enjoy writing for myself and for others. If you’re looking for a cost-effective, subtle way to promote your products or services without feeling sleazy then you should view content marketing as your best friend. You will never have time if you don’t have a process in place. I tend to batch my content. Meaning, I I write 1 to 2 posts a month (a YouTube tutorial may accompany the post as well) along with a monthly newsletter. These are the three pieces of content that typically take the most time to create. I literally spend Saturday and Sunday typing and editing my posts because the majority of the work was done during the week. 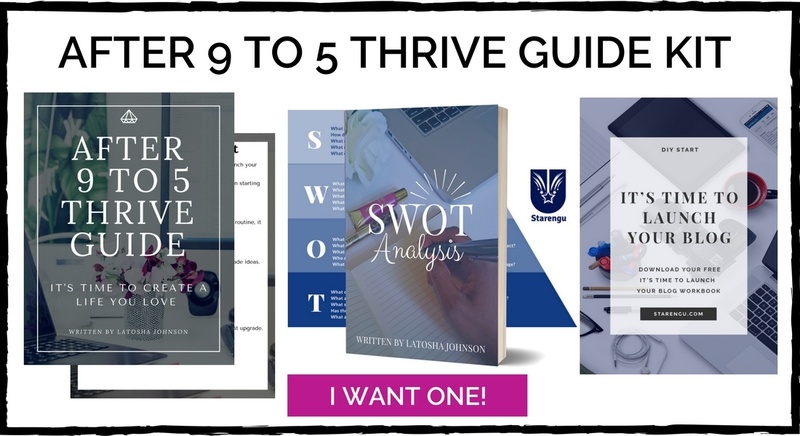 Brainstorm or create content upgrades (freebies I give away at the end of the post) A perfect example would be the After 9 to 5 Thrive Guide that is included in this post. Brainstorm or create tripwires (this is a special landing page that can only be accessed once the person has decided to subscribe to the aforementioned freebie). Do a little happy dance because you are done! I even have my day broken into a specific routine as well. I cannot stress enough how important it is to establish a process and routine that will enable you to stay on track. I wanted to share my routine with you so that you could see that it is possible. 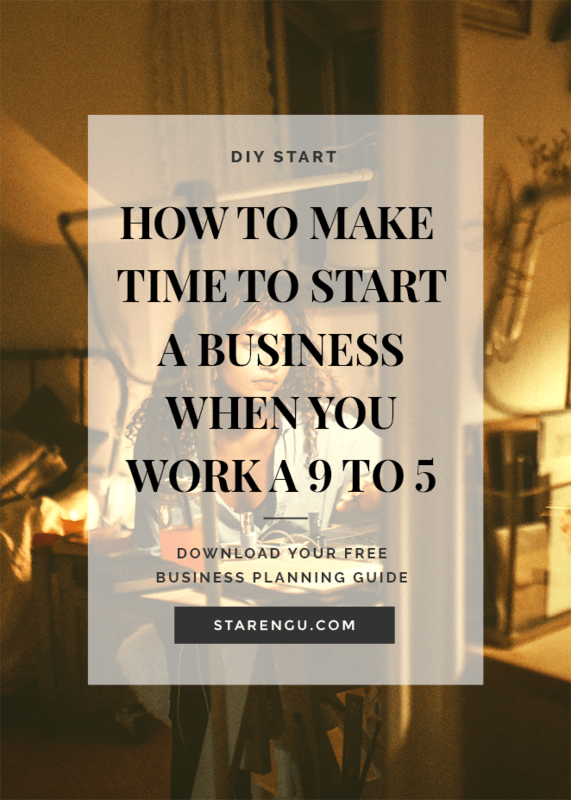 I’m fairly confident that this post along with the free the After 9 to 5 Thrive Guide will motivate you to invest in yourself and finally get your business off the ground. This is part one of our two-part Pivot to Success series. The last two weeks of the year is unofficially designated as a time for reflection. When you look back on this year how does it make you feel? Did you accomplish the goals you set out to achieve? If you did, kudos to you. Dare I say that the majority of us mere mortals still have quite a few items on our list that we didn’t tackle. You probably have a ton of reasons why you weren’t able to cross those goals off of your list. I get it. Life gets in the way. However, when you take a closer look at your list, are there outstanding goals that make an appearance every year? If so, it’s time to do some soul searching to find out why this is the case. Clearly, it’s something that you want to do, so what’s stopping you? You may not want to admit it, but there’s a strong possibility that fear may be the culprit. You may not feel like you have enough knowledge, confidence, etc. to go after your goal. So instead, you settle for seeing that goal on your list year after year because it makes you feel hopeful that this may be your year. I hate to burst your bubble, but you can’t keep doing the same thing and expecting different results. Speaking from experience, I know this is the case. In order to be successful in life, you have to learn how to pivot. When you see yourself going down the wrong road, don’t be afraid to turn around. Being prideful will always lead to a dead end. Starting a business has been on my bucket list for a very long time. However, earlier this year I decided it was finally time for me to *truly* take my shot. I decided to start Starengu while I was working my full time job. I know there are a lot of people who quit their jobs to start their blogs/business, but I was not one of those people. I will go into much further detail in my next blog post as to how I was able to accomplish this feat. It wasn’t easy, but I’m so glad I did it this way because after being on my job for 6 years, I ended up getting laid off. 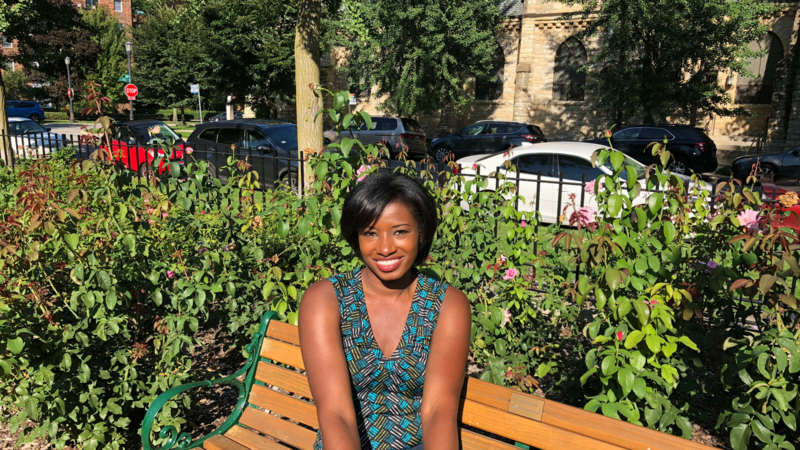 I took being laid off as an opportunity to revisit the path that I have always felt God was trying to lead me to throughout my life…to start my own business. I was done living my life like an ATM. Regardless of the fact that I deposited, hard work, patience, etc. I had to accept the fact that oftentimes you may not be able to immediately withdraw your goals. What kind of lifestyle do you desire? One with structure and stability? Flexibility? If you’re someone who enjoys a strict 9 to 5 and stability then being an entrepreneur is probably not the best avenue to pursue. Although many people idolize the entrepreneurship lifestyle, but they aren’t ready to put in the work. There’s nothing passive about creating income as an entrepreneur (especially an online endeavor). This path isn’t meant for everyone. Don’t let anyone “shame” you into thinking that there is something wrong with being an employee. There’s absolutely NOTHING wrong with having a 9 to 5 and a side hustle. In my opinion, if you can’t do both then you won’t be a great entrepreneur because you have to know how to manage your time. If you decide to completely take the leap into entrepreneurship, then you will need to kick instant gratification to the curb. There will be many times when you will need to put in numerous hours without receiving any pay, recognition, etc. When you start your business, you will to need to put in a lot of hours to get your endeavor off the ground. However, if you remain consistent in putting in the work, you will eventually reap the benefits. What are your strengths and weaknesses? If you’re starting your business on a shoestring budget, many of the tasks that need to be completed will require a DIY approach. 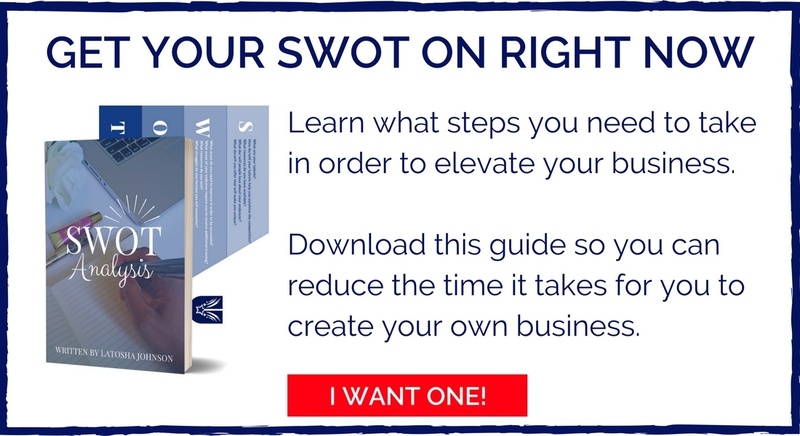 One of my favorite ways to approach a project (especially a new one) is to conduct a SWOT analysis (you can download your free SWOT analysis right here). If you’re not familiar with the approach, the main goal of a SWOT analysis is to assess your current situation. A SWOT analysis allows you to uncover your strengths, weaknesses, opportunities and threats that you need to take into consideration before you start your project. If you can easily identify the aforementioned, then this will reduce the time it takes for you to experience success. Based on your answers, you will be able to create a goal setting formula and routine that will help you achieve your goals. For example, if I know that if I’m lacking in a particular skill then I go above and beyond to get the answer to my question by taking workshops, online courses, etc. This will keep costs down while allowing you the ability to gain a general idea of how the task should be completed. This will help prevent you from being taking advantage of as well as identifying tasks that you wish to outsource in the future. Making continuing education a priority, because it will allow you to quickly identify trends that you otherwise may not have noticed. Technology is evolving everyday. Therefore, your current job may not necessarily be there tomorrow. The cannibalization of jobs is more evident in some industries than others. Therefore, you need to make sure that you have a back up plan in place. For example, I’m a techie with a marketing degree. I have worked for very prestigious companies on some amazing accounts. Therefore, the transition into my “second act” will not be hard for me. Gain whatever concepts and skills you need to learn to ensure that your transition is just as smooth. Based on the information that you gain from your SWOT analysis, you can create SMART goals. Emphasis on SMART. The reason many people fail in achieving their dreams is because they aren’t able to effectively track their progress. SMART goals define the actions that you are going to take along with the ability to effectively measure those actions. It’s important to have a benchmark so you can identify your progress, create forecasts, etc. You can learn how to create your own SMART goals by clicking here. There are a lot of different tasks that you need to consider when you decide to start your business. Many of them will need to be completed by you if you can’t afford to outsource them. If you don’t have money then you will need to invest your time. If you don’t have time then you will need to invest your money. Only you can determine which one of those scenarios fit your current situation. Regardless of your choice, you have to master the ability to prioritize your time. We all have the same 24 hours. Those who experience the most success understand how important it is to reclaim your time and invest in yourself. This is a lot easier to achieve when your squad supports your dream of starting your own business. They can help you stay motivated during the ups and downs of your journey. Even if you don’t have this type of support in your life, this doesn’t mean that you are doomed. You have the power to encourage yourself by changing the channel on negative thinking. Don’t allow yourself to be your own worst enemy. Your willingness to work hard towards your goals can serve as a reminder to the naysayers of all the dreams that they failed to pursue. Don’t allow the naysayers to get to you. Stay focused on achieving your goals so you can serve as an inspiration to others. You will encounter a lot of ups and downs during your journey. You may even discover you chose the wrong route. Everyone’s journey is going to be different, but the destination is the same…success. There are so many paths that you can take to get there. Yet, some routes are better than others. Just because you took the route as a writer doesn’t mean that you can’t take a detour and become a website designer. The quicker you identify which route brings you the most joy, feel free to go through the aforementioned steps again to identify any obstacles that you may come across. Regardless of whether you are just starting your journey or a seasoned entrepreneur, a successful pivot begins with changing your mindset. These are the steps that have helped me in my endeavor to pivot to success. If you’re curious to see what type of entrepreneur you are then be sure to take the below quiz. Don’t forget to download the SWOT analysis that pushed helped me make to create Starengu. It’s time for YOUR year to start now! 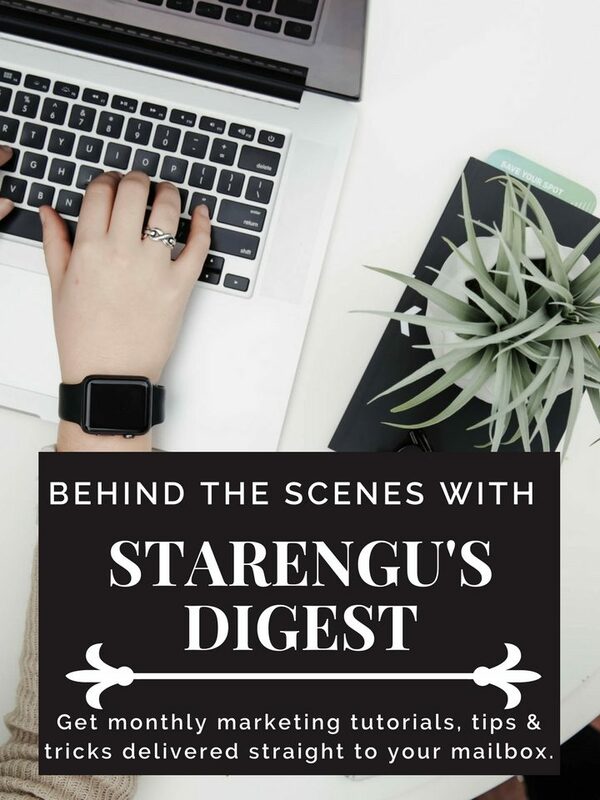 In the next post, I will discuss how I created Starengu while working a 9 to 5. It wasn’t easy, but it’s definitely worth the investment. Did you enjoy this post? If so, please spread the love by sharing this post with others. I would really appreciate it! Don’t forget to join us in the Goal Slayers Facebook Group. Hope to see you there! Learn what steps you need to take to elevate your business. When you make the decision to start a blog, your next move should be to start building your email list. An email list will allow you the opportunity to learn more about your audience’s needs so you can create content, products, etc. that will resolve their problems. Building your mailing list is not an easy feat, so you need to make sure that the email service provider you choose works for you. MailChimp is the default email service provider bloggers choose because it’s free for the first 2K subscribers and relatively easy to use. Those were two of the main reasons why I chose MailChimp. In fact, that’s why I started creating MailChimp tutorials on automations and segments. However, lately, I had been growing a bit frustrated with my most recent MailChimp email campaigns. I go into my reasoning more in the below video, but if you’re looking for the CliffsNotes version it’s because I noticed a dip in my open rates. I know there are a lot of factors that can go into this such as headlines, day and time of day sent, etc. When you know you’re providing quality content, it’s extremely disheartening to see those types of results. Then I came across a couple posts on social media mentioning that MailChimp’s emails usually have low open rates because they tend to get stuck in spam or the promotion folder in Gmail. Needless to say, I decided to “investigate” by taking a portion of my list and started to test MailerLite. I can honestly say that I’m upset that I didn’t switch to Mailerlite sooner! Not only were my open rates higher with Mailerlite, but there were a variety of other features that I feel Mailerlite does better than MailChimp. Mailerlite’s interface has a much more modern user-friendly interface. The drag and drop builder and templates offer more aesthetically pleasing options that MailChimp (especially with the built-in photo editor). It’s a lot easier to locate features like creating segments, create forms, etc. I can easily see how my email is going to look on a desktop or mobile. I’m able to schedule my emails to be delivered based on my subscriber’s time zone which is a feature that you have to pay extra for in MailChimp. However, one of the features I’m most looking forward to is the tagging feature that Mailerlite literally just released the other day (I will be creating another follow up video regarding this feature very soon). I like the reporting features in Mailerlite better than MailChimp mainly due to the interface appearance. Again, it’s easier to quickly locate and gather the information that I need. The Click map is one of my favorite Mailerlite reporting features. The click map is a visual representation of all the links that your subscribers clicked on in your email campaign. Even though MailChimp offers you the opportunity to have more subscribers on their free plan, you MailChimp is going to be much more expensive for you in the long run. Take a look at their pricing plan. Mailerlite offers 24/7 email support for ALL of their plans. MailChimp only offers support for their paid plans. I already know that Mailerlite is awesome, so now it’s your turn to see for yourself. Sign up for Mailerlite click on this link to get started and watch the complete Mailerlite tutorial below. 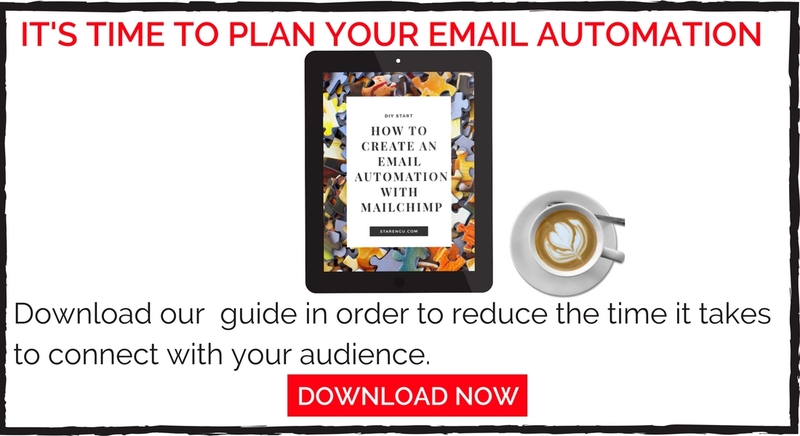 Don’t forget to download your free Email Series Automation Guide by clicking right here. I’m curious to hear your thoughts about Mailerlite. 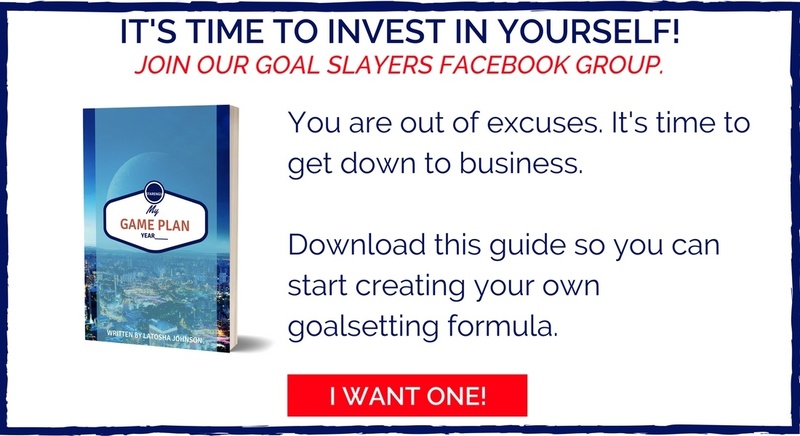 Be sure to join us in the Goal Slayers Facebook Group and our Pinterest Board. It’s that time of year again. The holidays are finally here! If you’re a planner like me, I’m sure you are probably working on your shopping list. I’m fairly confident that you have an entrepreneur on that list. There is an increase of people who decided to invest in themselves by starting their own business by creating a blog. 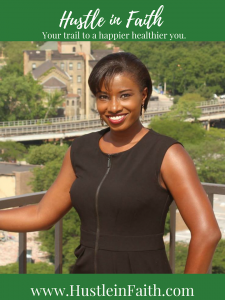 Oftentimes, when you’re starting your own business you have limited funds (I am speaking from experience). 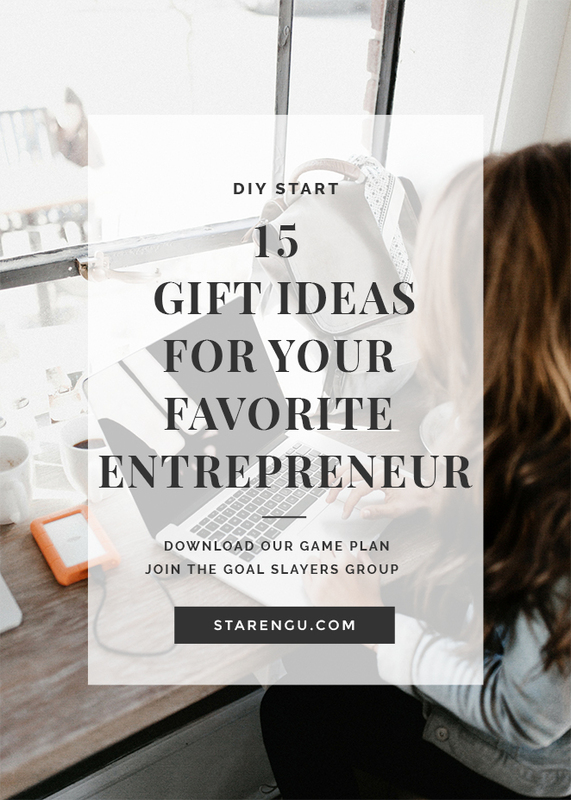 Therefore, it would be extremely helpful if someone purchases a gift for you that it is something that they can use to aid in their business endeavor. If you have the cash to spare and REALLY want to freak out your favorite entrepreneur then a new computer will always be the way to go! Every entrepreneur knows that your computer is the lifeline of your business. You will be lost without having one. Regardless of whether you are a Mac or PC user, the below computers should suit your needs. I love wireless products. I see no point in using cords when you have a wireless option. I’m a huge fan of Logitech computer accessories. I typically purchase computer accessories from Logitech because I end up keeping them forever. When you decide to invest in yourself, you may not be familiar with or know all of the obstacles that you may face during your online journey. When you’re just starting out, you may not be able to afford outsourcing things like creating your website, creating branded documentation, etc. These courses are going to help your favorite entrepreneur quickly get up to speed. 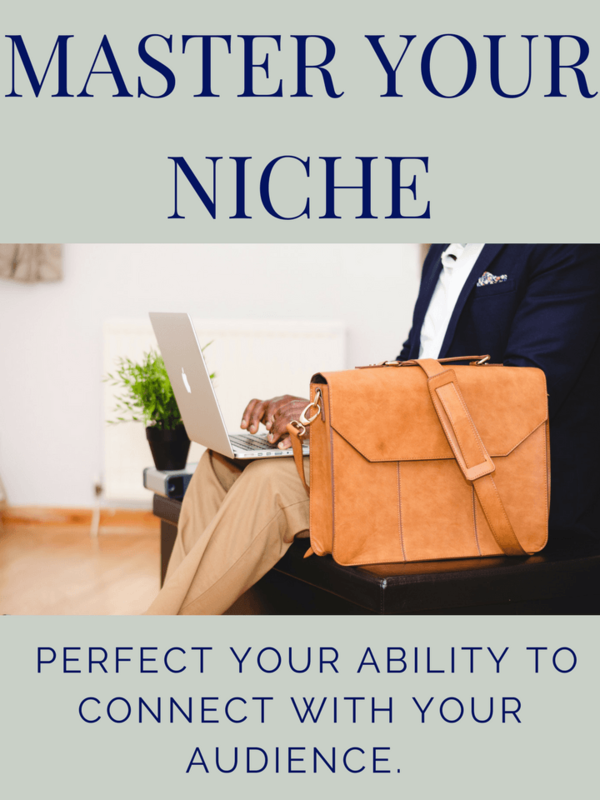 Master Your Niche: Learn how to determine and validate your niche, create new market space and improve your content marketing efforts. Brazen Brand & Design: This course was specifically created for my design challenged friends. Learn how to design like a boss. Slay with WordPress: Learn how to build a website that reflects your personality and conveys your message. 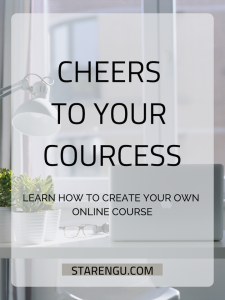 Cheers to Your Courcess: Discover how to create a course that your audience will benefit from without going crazy in the process. 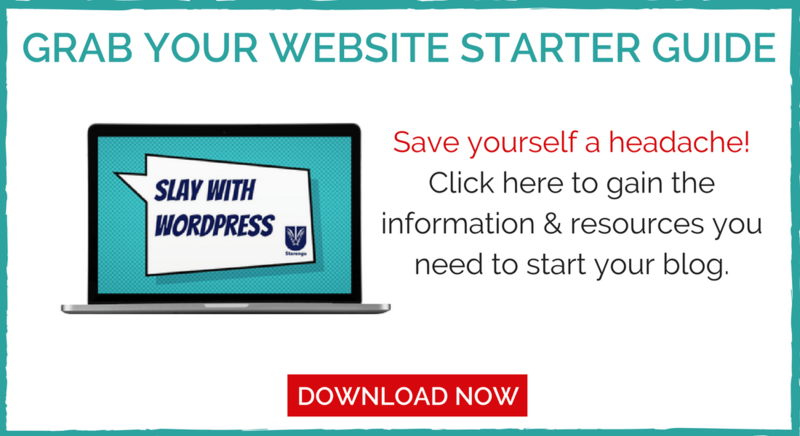 Once your favorite entrepreneur has learned how to create their own self-hosted WordPress website, they will eventually have a desire to make changes to their site. I truly love purchasing themes from these shops. They are SEO and user-friendly, stylish and cost-effective, so you can’t go wrong with any of these themes. Content marketing is one of the best ways to generate leads for your business. Starting a blog can be overwhelming. 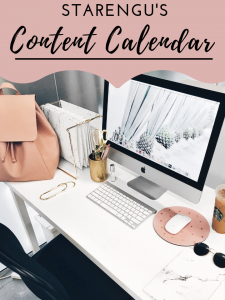 However, the content calendar I created is going to help you organize your content, create a library, track your progress, etc. This Excel-based custom-made content calendar will help you stay motivated in your quest to create engaging content. If you’re going to start making YouTube videos, podcasts or create your own course, then you need to have a good mic. Listen to the video in this post and you will see why it’s important to invest in a good mic-LOL (This is an older video and I was testing out a mic. I plan on retaping this video with my new one). You can have the best information in the world to share, but if your audio is horrible people aren’t going to listen. They will be focused on trying to look for a way to close your page. Don’t let this happen to your favorite entrepreneur! The below mics will do the trick for the majority of your favorite entrepreneur’s audio needs. We live in a world where you can put a face to a client’s name without ever meeting them in real life. We can easily conduct meetings via Skype or via some other video conferencing platform. In order to ensure a pleasant video conferencing experience, I highly suggest that you do not rely on your computer’s webcam. Everyone knows that computer webcams are horrible (it would be nice if someone addressed this issue, just saying…). Therefore, you can count on these webcams to make sure that everyone can truly see each other. I know a lot of people use commercial use sites like UnSplash, Pixabay, etc. when they need to create content. There’s nothing wrong with doing this (provided you are 100% that those images truly are commercial use and aren’t stolen), but when you take your own pictures or flatlay arrangement then you know for a fact that your pictures won’t be seen on other websites. Many of the smartphones can take decent pictures, but if you know that you’re going to be using a lot of photography on your site then you should look into getting a professional camera. This camera is one of the most popular professional cameras for beginners. Somewhere along the way your favorite entrepreneur is going to get tired of writing blog posts. It’s inevitable. When it comes to trying to show someone how to use a tool it’s a lot easier to use video than print screens. If you’re looking for recording software then check out one of these. In case you’re wondering Camtasia is my favorite, but I actually teach a course on how to use all three of them in our Cheers to Your Courcess which teach you how to create your own course, record and edit video, etc. Many of the laptops don’t come with a ton of storage because it’s assumed that you’re going to use the cloud. I ran out of disk space pretty quick because I really do prefer to save my information to my laptop. You can secure your data using these storage spaces. If you like working in coworking spaces, coffee shops, etc. you’re going to want to invest in a good pair of headphones. I love listening to music or practicing my Spanish while I’m working. I love my Google Calendar, but I still love creating customer calendars using Shutterfly. I thoroughly enjoy making a calendar every year (I even give them away as gifts). Life is full of ups and downs. When I’m having a bad day, they serve as a reminder of all the good times that I had throughout my life. Seeing those memories keeps me motivated to keep going and to never give up. I realize that everything has gone digital, but let’s face it, there are moments when technology fails us. It’s a lot more impressive to hand someone a business card than your contact information written on a scrap of paper. I truly enjoy ordering my cards from Moo because their printing quality is consistent (unlike Vistaprint) and they have fantastic customer service. As someone who has worked from home for the past 6 years, it’s not good to sit at a table all day long. If you don’t have a table high enough to place your computer on then you should invest in a Varidesk. Not only will you help your posture but you will also be able to burn off some extra calories. It is so EASY to gain weight when you’re striving to build your empire. I know from experience. The 30lbs I gained seem to have come out of nowhere… I lost the weight and I’m going to be sharing my journey on a new blog that I am in the process of creating. A Fitbit can help motivate your favorite entrepreneur to stay in shape. What else should be on this list? Are you looking for an opportunity to share your content with others? Check out our brand new group called Goal Slayers! Creating valuable content is imperative if you wish to be successful in your email marketing endeavors. You’re clearly on the right track if you’re getting people to sign up for mailing list. However, in order to ensure that your subscribers remain engaged, you need to make sure that you segment your email list. It is essential to segment your list in order to ensure that the content that you created truly resonates with those on your list. Everyone is going to be at different stages in their online journey. They are either at start, drive or thrive and it’s up to you to ensure that the content you create uniquely addresses each of their needs. Once you have addressed the aforementioned, then you will have the parameters you need (i.e. categories, occasions, etc.) to effectively segment your mailing list. 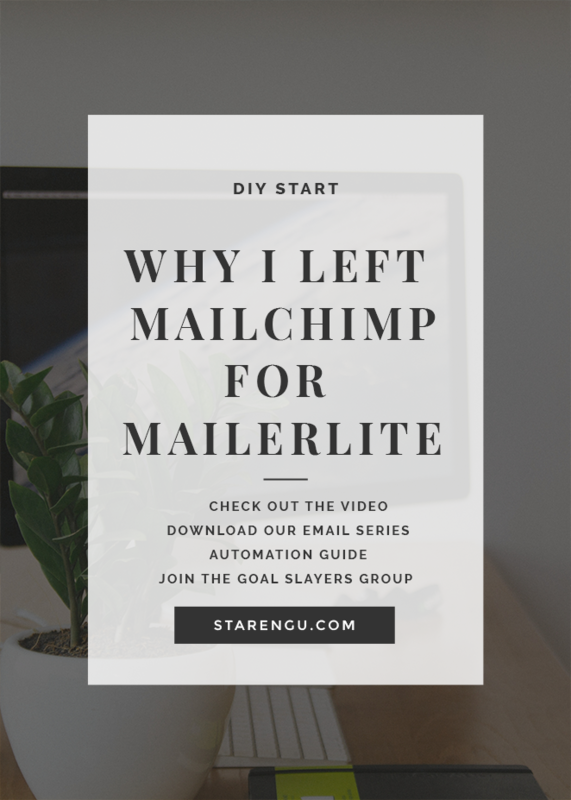 All of the major email providers offer this as a feature in their plans, but the one I decided to create a video for is MailChimp.MailChimp is one of the most cost effective companies you can use to build your email list. You can have an email list of up to 2k subscribers before you will be charged. MailChimp allows you to create lists, opt-in forms, email automations, email campaigns, etc. 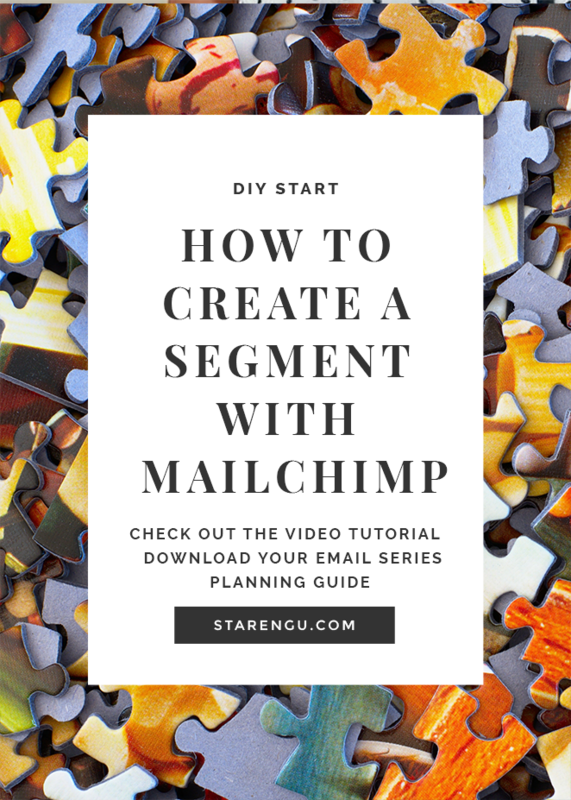 Enough rambling from me, check out the below video in order to learn how to segment your email list using MailChimp.Don’t forget to download our email series automation planning guide.